Has your technology, web or internet company received a subpoena from an attorney? In this episode, litigation attorney Enrico Schaefer explains how to respond to a third party deposition and/or document production subpoena. 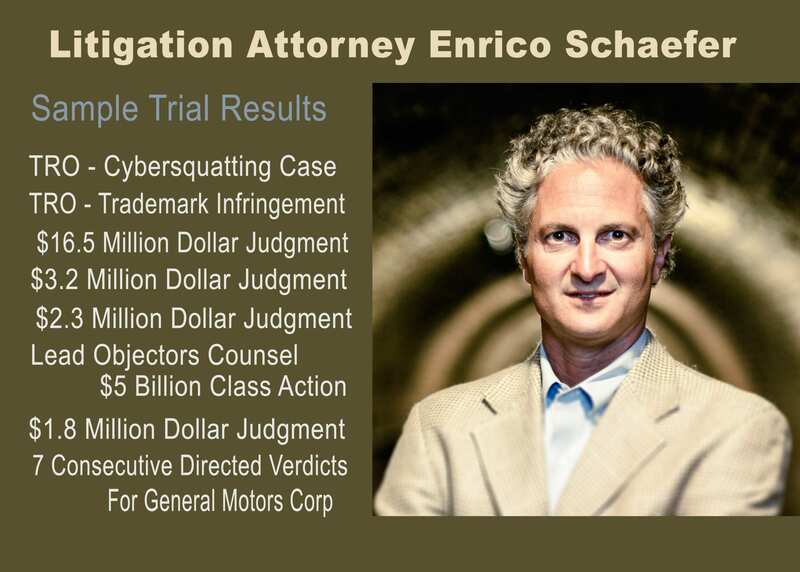 This is attorney Enrico Schaefer. Today on the Traverse Legal Podcast we are going to be talking a little bit about litigation tips and how to deal with third party subpoenas. If you are an internet company and you have a website and have users who login or provide information into your site (those could be user generated content websites and many other different types of website), it is very possible that you could get a subpoena relating to some other piece of litigation because your user or someone that has interacted with your website has done something on that site that has become potential evidence in another case. The parties to that other case (the Plaintiff, the Defendant, and the attorneys for the other parties of the other case) sometimes want to get information from your website about your users. Let me give you an example: Let’s say it is a defamation lawsuit and something has been posted as a comment on a web page that belongs to your company and that comment relates to the defamation. Or let’s say that they are trying to identify who are the users of anonymous log-in account that is using some type pseudonym or fake information that doesn’t reveal the person’s actual name. The lawyers in the litigation want to subpoena your company to identify the IP address of the user who posted that message or if it’s an account that is created in your website – who registered for that account. So, how do you deal with this third-party subpoena? The first thing you need to do is contact your attorney, and hopefully your attorney specializes in litigation and knows how to deal with these subpoenas that come in, because you are going to typically have to act within 14 days and do one of several different things: Comply with the subpoena, file a motion to quash the subpoena if you believe that the subpoena is inappropriate, or file a motion for protective order if you believe that the information being requested is broader than what maybe relevant or maybe accessible to you. You want to be able to act fast and make really good decisions about this litigation subpoena that you received. You are almost always going to be contacting the attorneys and law firm that issued the subpoena to try and work out some of the variables with that law firm. You will need to decide if you are able to provide information and it doesn’t conflict with your own privacy agreement with your own users, and you want to limit the scope of what is going to be produced so you can then work all that out with the other attorney. If you really want to quash the subpoena and not respond to it at all for a variety of different reasons, then you are going to have to access your local court or local jurisdiction of the federal court, but you will need to follow your jurisdiction even if the subpoena comes from another state, and you are going to be able to go and ask that court for an Order that says that you do not have to comply or respond to this subpoena. Subpoenas typically ask for both deposition and documents. They want the person knowledgeable about documents to show up at a location near you within 100 miles and they want you to bring the documents requested with you. This is litigation Enrico Shafer and that’s it for our Podcast today talking about third-party subpoenas for tack and web companies. We’ll see you next time.